In May, with more than four months of professional baseball left to be played, there are plenty of fans of hapless teams hanging on to hope that this year is finally their year. Those thin threads of hope have an analog on the field: The fortunes of teams valued at hundreds of millions of dollars hang on the soft tissue holding together the elbows and shoulders of a couple dozen twenty-somethings who can heave a baseball nearly 100 miles per hour. What better way then to protect those fortunes — not to mention the lucrative salaries paid directly to players — than to set pitchers to a training program that applies the best scientific research on the wear and tear of repeated throwing and teaches the sort of proper form that can prevent injury? Because information to guide those decisions is available. Of course, you can lead a coaching staff to science, but you can’t make them change. Not that there is any shortage of research in sports medicine journals. 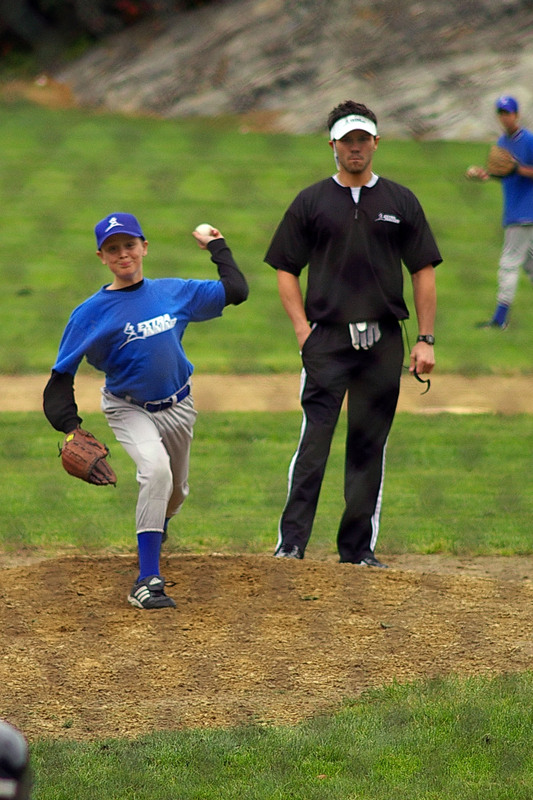 Since the Major League Baseball season started in early April, Fleisig and collaborators have published studies on elbow tendon replacement surgery, six-week throwing programs for high school-aged baseball players and shoulder nerve injuries particularly prevalent in volleyball players. For his part, Fleisig continues to churn out scientific studies, expecting a new breed of coach will make use of it. For all the hitting, running, catching and sliding that electrifies fans, nothing can happen in a baseball game until a pitch is thrown. And describing the thrown ball in terms of biomechanics slows the pace of the game to a crawl. In fact, it took Duquesne University athletic training professor Peggy Houglum more than 1,200 words to describe the process for a book on musculoskeletal injuries. Standing 60 feet, 6 inches from the plate and the batter, the pitcher begins the action — which generally takes place in one smooth and unbroken motion — with a windup that lines up the body parts for the synchronized movements that propel the ball toward the catcher. This often involves starting with the throwing hand and ball in the glove, joined in front of the pitcher, and progresses with a slight step backwards against the “pitching rubber,” a slab of white rubber that marks the point atop the mound from which pitchers must work. “The body winds up so that all segments of the body from the legs to the arms are able to contribute to the ball’s propulsion,” Houglum wrote. It’s an action Carroll sees reaching back into our distant past. “There’s a physiologist, William Calvin, who wrote a book about it, suggesting our brains grew and our speech centers evolved alongside the center that coordinates throwing,” Carroll said. “Throwing a spear straight and hard once, and then going to pick it up, is a completely natural thing. Set atop the rubber, a right-handed pitcher ends up facing to their right, toward third base. The pitcher’s hands separate as a stride forward begins. The throwing hand and the ball reach back, while the glove hand moves toward the target. It takes a brief moment for the shoulders to turn to match the pitcher’s waist and trunk, for the flexed arm to straighten and whipsaw toward the plate, and it makes all the difference in the world. “This is a fraction of a second. It’s not even clear on much video,” Fleisig said. To much lag focused a great deal of the acceleration on the ligaments in the elbow. Too little lag means asking too much of the shoulder in creating the acceleration require to throw with impressive speed. “It’s the difference between a good pitcher and a great pitcher, or a pitcher with or without too much stress on the arm,” Fleisig said. And it’s measurable. Or, at least, it is now. But there’s only so much that can be gleaned from observing at real speed. The first major stress on coaching came with the introduction of video as a coaching tool. To throw a curveball — which drops faster toward the plate than the arc of a normally thrown ball thanks to a great deal of spin imparted by the pitcher — coaches believed the pitcher’s hand needed to be situated on the side of the ball. Their fingers, led by their little finger, pulled down on the front of the ball. Or so it was thought. “The first coaches to watch a curveball thrown on video were probably cursing their players out for doing it wrong, because they’re seeing each curve thrown with the hand on the back of the ball and the thumb coming down first,” Fleisig said. Video revealed that the pitcher’s hand was behind the ball on pretty much every pitch, whether it was a garden-variety fastball or a pitch with funky spin that made it fall or slide sideways. But the pitcher — and the coach who had no other way to describe the proper way to throw — understood only how it felt to throw a curveball. ASMI’s work is presenting coaches with a new dilemma. The Institute has a library of more than 2,000 athletes from little league-aged kids to elite professional pitchers. “We put two dozen reflective markers on them, and they throw from the pitcher’s mound in our laboratory while our cameras and computers record all the movements from windup to the follow-through after the release the ball,” Fleisig said. The result is a complicated stick figure, which is compared by ASMI “biomechanists” with advanced degrees in ergonomics and biomechanical engineering against the range of other recorded pitchers. “We’re watching the angle of their forearm to upper arm as they stride, where their front foot lands, the way their trunk swivels around to help generate speed as the arm moves through the throwing motion,” Fleisig said. Timing and angles are crucial to a pair of the most important factors of a pitcher’s success: throwing hard and keeping the throwing arm in good working order. And how does that knowledge get applied to prevent injury? “In most cases, I don’t think it does,” said Carroll, whose baseball season workday is spent writing about pitchers who have torn a ligament or loosen the capsule of tissue around the shoulder that keeps the arm bone from pulling slightly free of its socket during the powerful whip of the pitching motion. On Monday Kansas City Royals pitcher Danny Duffy was diagnosed with a torn ulnar collateral ligament in the elbow on his throwing arm. It’s no small thing that many baseball fans are well-acquainted with the UCL, and no small thing that the tear was not a career disaster for Duffy. He’ll just have a surgical repair known as “Tommy John surgery,” named for a Los Angeles Dodgers pitcher who was the first patient to have his UCL replaced with a piece of tendon from elsewhere in his body. Rehabilitation following Tommy John surgery is so refined that almost all patients recover completely, according to Carroll, and often within nine or 10 months (compared to 18 months before John began pitching again). “What’s bothering most people a bit is that there are surgeons doing 500 of these surgeries, and we’re seeing the number of high school kids in the operating room growing,” Carrol said. While the odds say Duffy will return without losing his skills, the Royals have lost the services of a young pitcher working for the (relatively) low price of just under $500,000. The Washington Nationals spent much of last season without young phenom Steven Strasburg, who still made several million dollars. The Boston Red Sox are paying pitcher John Lackey, who is rehabbing from a Tommy John procedure in November and out of commission for most or all of this season, more than $15 million in 2012. And with so much money at stake, Carroll wonders why a trip to a place like Birmingham for a morning-long session with a researcher like Glenn Fleisig isn’t a must for every pitcher on every major league roster. “There are clues that teams can look for to decide whether a pitcher’s throwing motion is bad, but why look for clues?” Carroll said. “We can do the examination, look at the science and say here’s how much force there is on your shoulder. Here’s how much force there is on your elbow. And we know these are the norms.